We created this clock to use color to intuitively show time of day, and even help you wake up or fall asleep on time. Haalo is a digital clock that displays time like an analog clock, but takes advantage of digital technology. 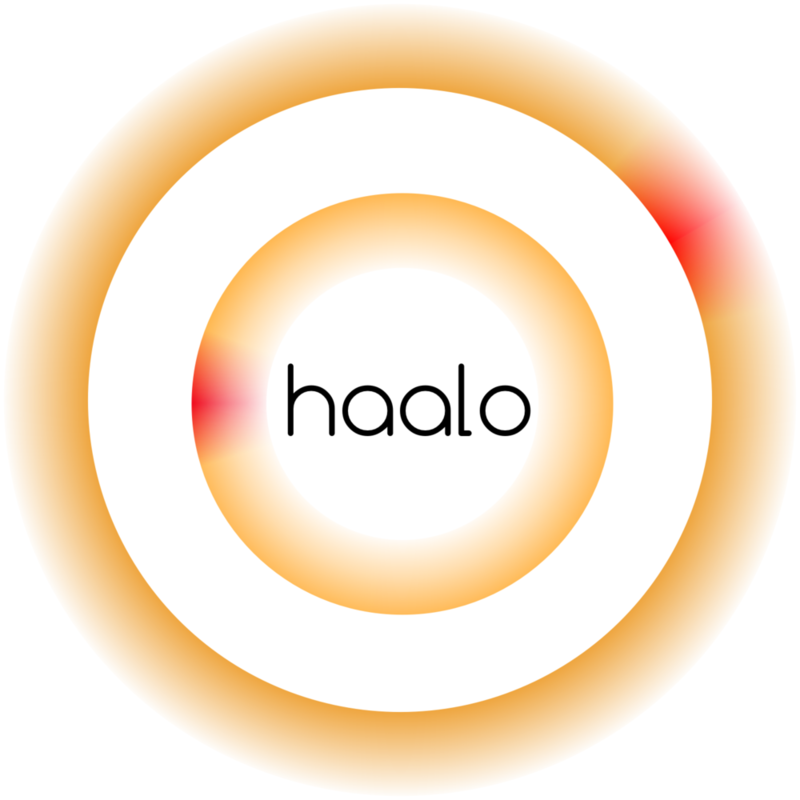 Settable through your mobile device, Haalo is a ring of lights that reflects off your wall to show the time, and uses color to show intuitively what time of day it is. A friend of mine, Simran, began talking with me one day about the design of clocks, and how they were a beautiful example of the marriage of form and function. We decided we wanted to design our own clock. We started an inspiration board, talked over some ideas, and started sketching. 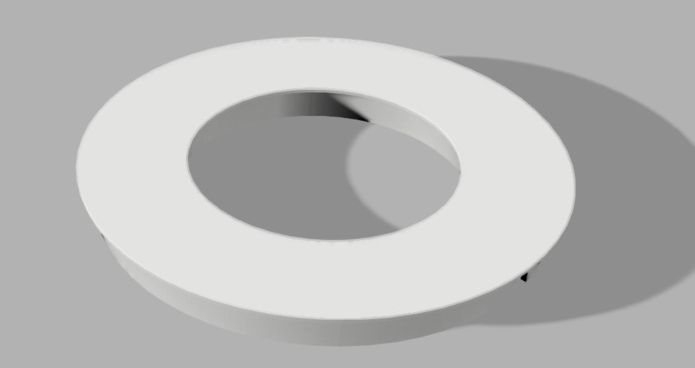 The idea was to make a clock that was aesthetically pleasing, but still had some functional depth. Another sense of time came into play here too: your body's natural sense of time. I've always been one to wake up in the morning to natural sunlight - I keep my shades open. I'm also always careful to avoid bright lights before bed. This clock design was an opportunity to tell time in a numerical sense, but also to light up the room in a color that told your body what time of day it was - Bright and yellow-green in the morning, fading to orange then purple-blue in the evening. Simran liked the idea, and we incorporated it into the design. Thus, this clock helps to sync your circadian rhythms to assure that you're awake when you need to be, and asleep when you need to be. Simran and I planned what we needed to build the first version of this clock - essentially, a micro-controller chip, a power supply, and an LED strip, plus a 3-D printed body. Around the time we wanted to build the clock, Bitcamp hackathon was happening on campus, so we set aside 35 hours for the clock and got to work. The key to the design was the fact that the LEDs would glow in a way that would softly illuminate the wall behind the clock without being directly visible. The next step was to create the body of the clock, and the software that would control LEDs to tell the time and color. While Simran worked on the software, I created a CAD model of the body, dimensioned to fit the LED strips, and designed to hide the circuitry from view. Unfortunately the 3-D printer available at the hackathon did not have a large enough print bed, so we printed the clock in fifths and puzzle-pieced it together. By the end of the hackathon, we had a functioning version of the clock. The LEDs would tell the time like a clock, and change color based on the time of day. We had accomplished what we had set out to do. The first completed version works well, but is not yet perfect. When viewed from side angles, the light is still a bit harsh. Next steps include a redesign of the body, with a thin sheet of semi-opaque material to diffuse the light. This will make the clock readable and enjoyable from most angles. Additionally, the implementation of a bluetooth-enabled chip in the clock and the development of an iPhone app would help sync the clock time, and allow one to warp the time of day to match their desired wake and sleep times.